Sports are huge here in Indiana. I must say basketball rules this state but there are still plenty of soccer fans out there. I have a few friends whose kids are die hard soccer players. 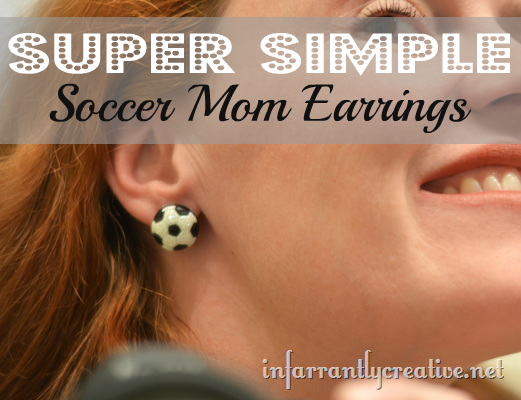 When I saw these Glittered Soccer Shapes at Michaels I knew a quick and easy project would be to make some soccer mom earrings.